We are quickly approaching Zoelle's 3rd birthday. It's an exciting time in our life, but being three also brings about big changes. One thing Chris & I have been talking about a lot is whether or not we will put Zoelle into preschool one day a week for school this year. 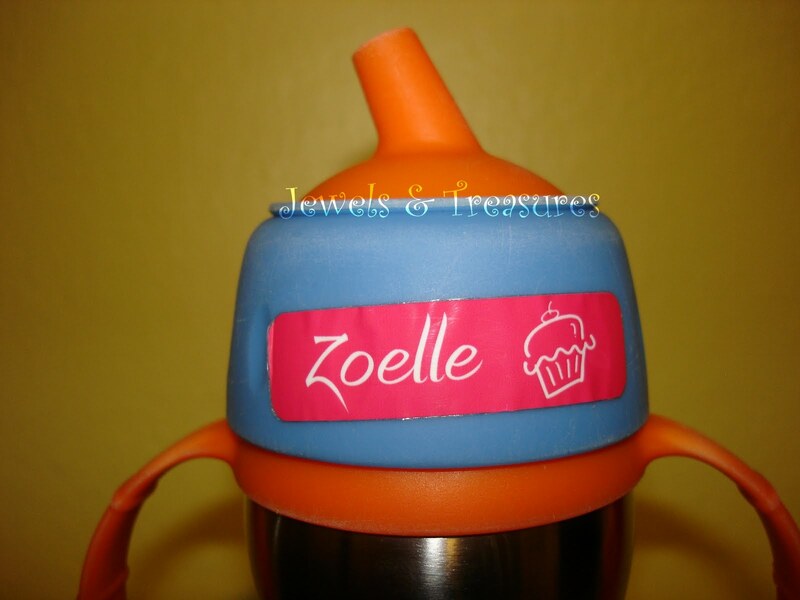 We haven't made an official decision yet, but if we do send her to school I have found some awesome labels to label all of Zoelle's things with. Label Daddy is a company that sells labels for clothing, camp, and school, along with many other uses. They are microwave safe, dishwasher safe, and washer/dryer safe. I did a bit of a test with the dishwasher and my label came out looking exactly as how I put it in. Pretty amazing as our sippy cups go with us everywhere and I want to make sure her name isn't falling off of it, or we aren't losing her sippy. Another great thing about the labels is that they are laminated. This comes in extremely handy when you are using lotions, sunscreens, etc. Thus the label is smudge free and very easy to read. Looking to get some labels for your child who is going to school in the fall? Or how about some fantastic labels to label all the camp items your child will bring to camp? If so, head on over to Label Daddy and make sure you use the code SUMMERFUN to save 20% off your order. Shipping is only $5.95 to anywhere in the US or Canada, so it is a fantastic deal!